We are Authorized Distributor of RUST-X Other Brands. 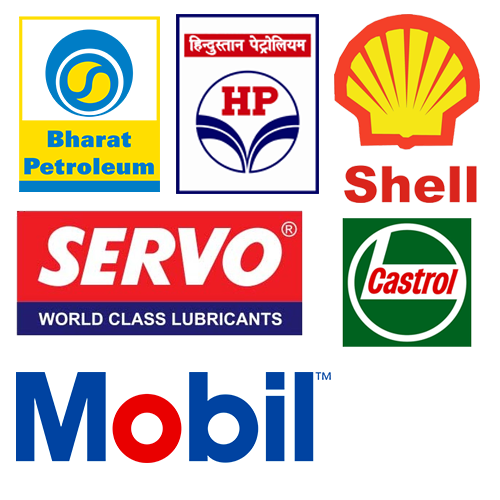 Shrinath Corporation Is An Authorized Distributor For Esso And Mobil Branded Automotive And Industrial Lubricants. Shrinath Corporation Began Its Operations In Ahmedabad In 1995 To Cater To The Need Of The Industries For Lubricants. All Types Of Lubricants, Mobil Industrial Lubricants, Mobil Lubricants, Industrial Lubricants, Oil & Grease, Lubricants, Automotive Lubricants, Specialities Lubricants, Synthetic Oil & Grease, Exxonmobil Lubricants, Paints, Coatings, Automotive Refinish Paints, Water Base Paints, Basf Chemicals, Industrial Paints, Glasurit Paints. A Quality Gear Oil Suitable For Light To Moderate Duty Gears. Recommended For Bevel, Spiral Gears Used In Automobile Axles And Manual Transmission Systems, Where Ep Characteristic Is Not Required. Shirnath Corporation , Established In 1995, Is A Professionally Managed Company And Known For Its High Levels Of Service To Its Customers. Shrinath Corporation Is Traders Of Lubricating Greases Globally. Today Balmer Lawrie Offers A Comprehensive Range Of All Industrial, Automotive Oils And Specialties. The Management Team Holds A Strong Background In The Field Of Lubricants Since The Past 30 Years And An Exposure Of 20 Years In Oil Industry In Gujarat. Shrinath Corporation E Has Its Head Office At Ahmedabad . Since The Last 3 Years We Have Been Growing At The Rate Of 30% P.A. Our Skilled And Trained Teams Of Representatives Assist Our Clients In Solving Their Lubrication Problems And Help Them Reduce Their Cost Of Operation. All Types Of Lubricants, Mobil Industrial Lubricants, Mobil Lubricants, Industrial Lubricants, Oil & Grease, Lubricants, Automotive Lubricants, Specialities Lubricants, Synthetic Oil & Grease, Exxonmobil Lubricants, Paints, Coatings, Automative Refinish Paints, Water Base Paints, Basf Chemicals, Industrial Paints, Glasurit Paints. Free Operation Of Any Automobiles. There Are Different Accretes Fitted In An Automobiles Vehicle Such As Engines, Gear & Transmission, Brake System, Radiator Coolant , Wheel Bearing Etc Requires Different Type Of Oils And Greases. Castrol Petrochem Group is a leading player in oil space, with a vision to be an integrated multinational energy organization driving international growth with an excellent suite of development projects spread across different continents. HP petroleums Limited, an ISO 9001:2008 & EMS 14001:2004 certified company, specializes in designing, manufacturing and marketing, industrial & automotive lubricants, process oils, transformer oils, greases and other specialties under the brand name HP in India. BP Ultimate fuels now contain ACTIVE technology (Invigorate in the US), an innovative formula developed by BP scientists to remove dirt and stop it coming back. With ongoing use, BP Ultimate fuels with ACTIVE technology help vehicles to run efficiently and smoothly. Servo Brand, From Indianoil, Is The Brand Leader Among Lubricants And Greases In India And Has Been Conferred The �Consumer Superbrand� Status By The Superbrands Council Of India. Recognised For Its Brand Leadership By The World Brand.